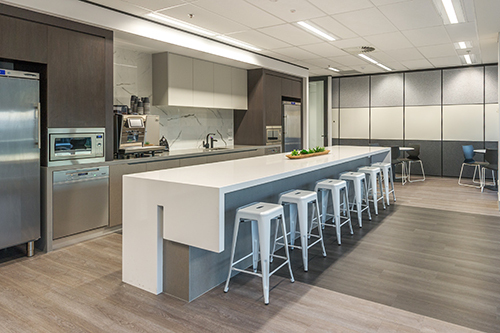 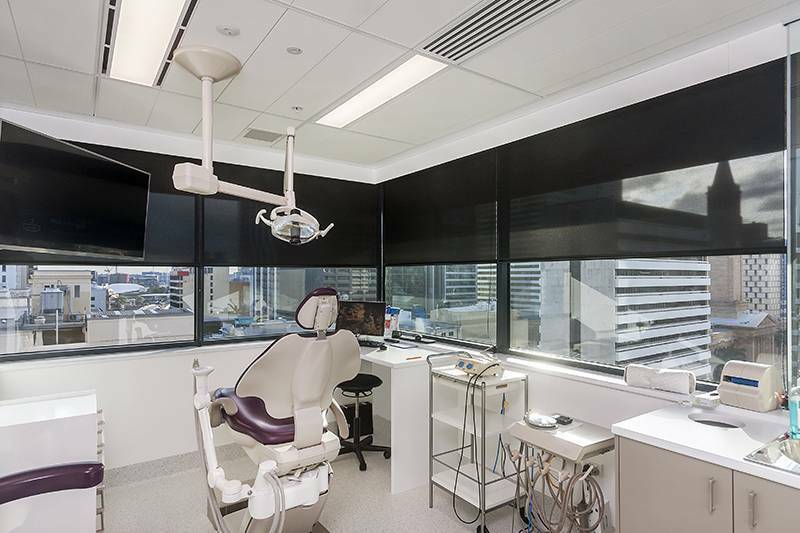 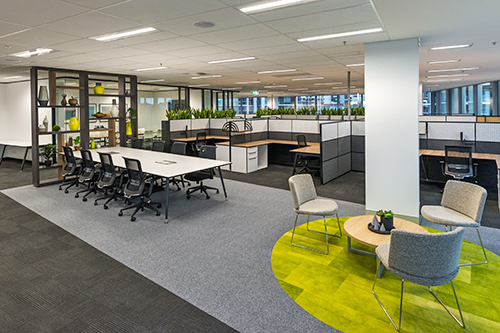 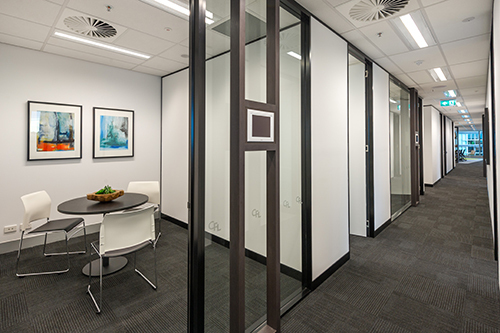 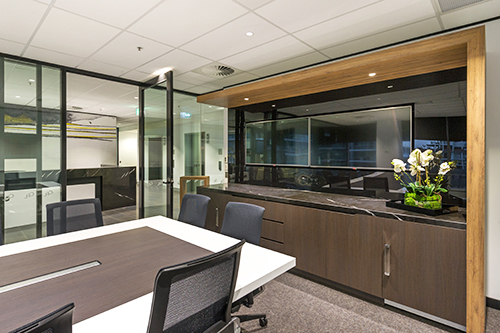 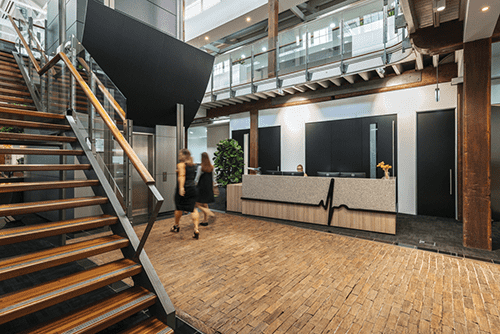 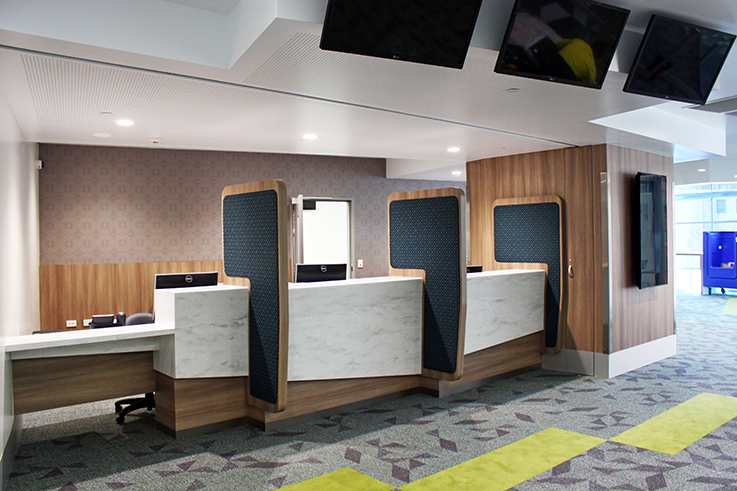 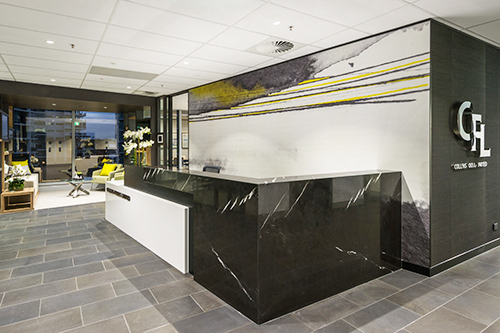 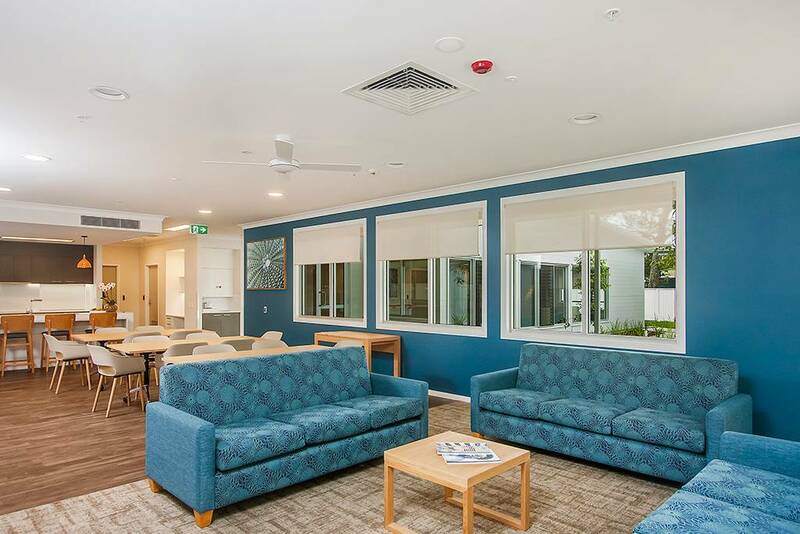 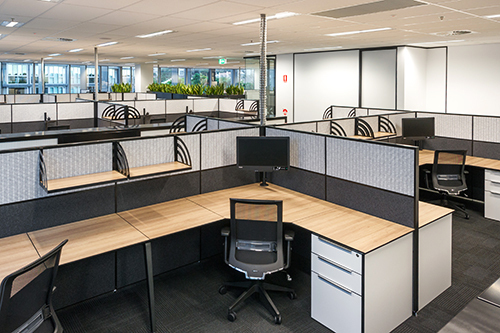 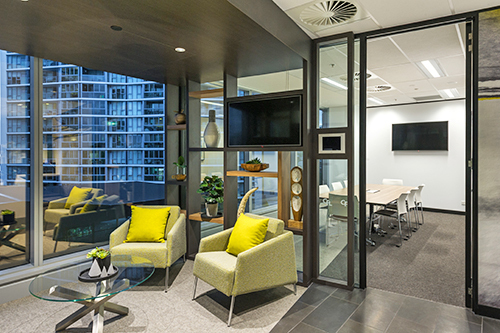 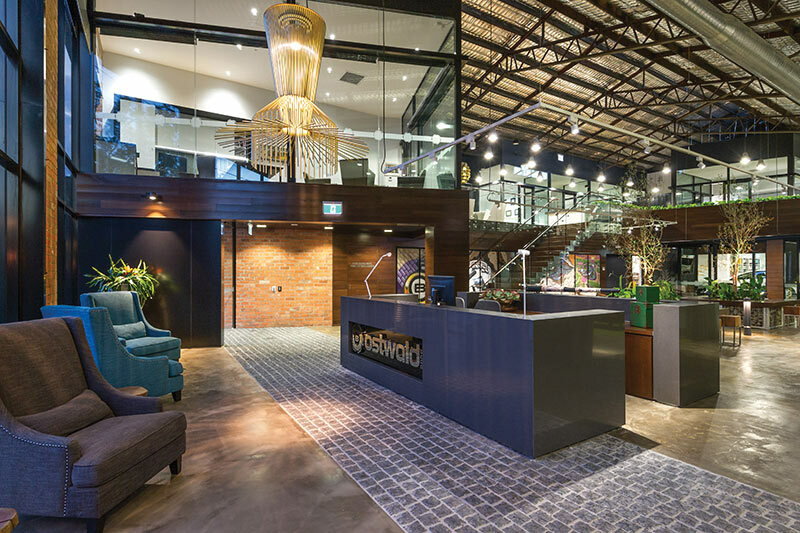 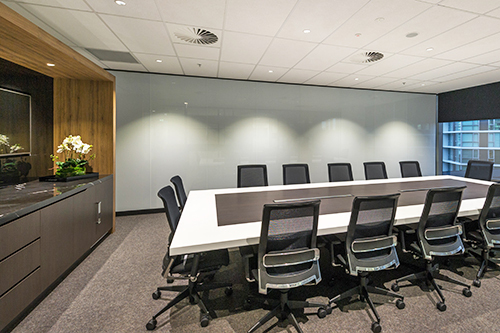 This project on Brisbane’s CBD fringe features a distinguished reception space, more than 100 workstations and extensive AV, electrical and custom joinery requirements – all of which were delivered in a compact timeframe that accommodated numerous long lead time items. 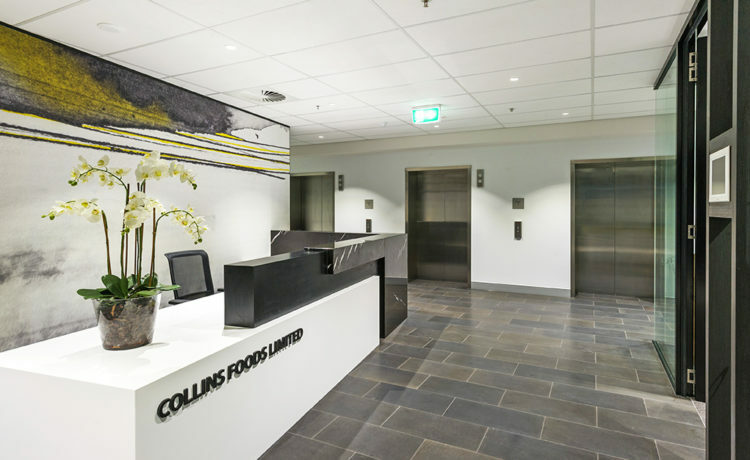 The reception at Collins Foods held an inviting waiting area with feature ceiling, multiple staggered media screens and custom joinery throughout. 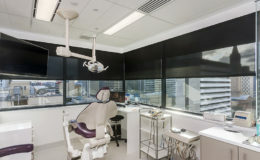 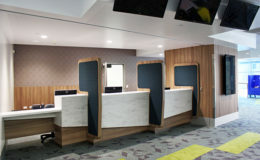 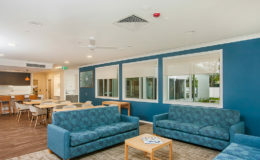 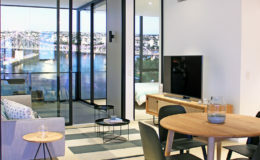 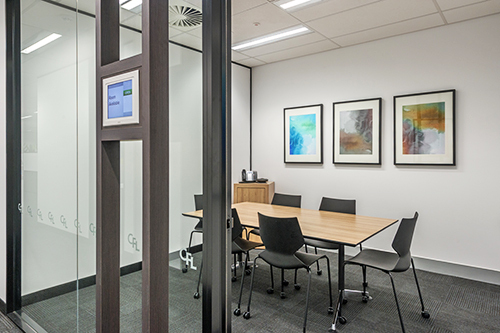 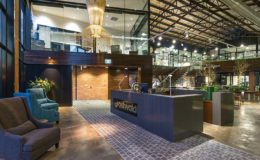 The overall fitout also featured three additional multiple integrated media screen configurations with networked touchscreens incorporated into the meeting room glazing frames to provide interactive room booking schedules as well as ten ‘public’ iPad kiosks scattered throughout the 1,520m² floorplate. 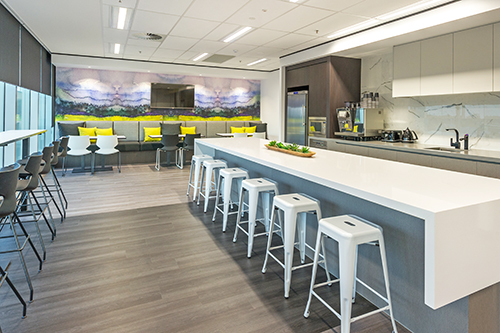 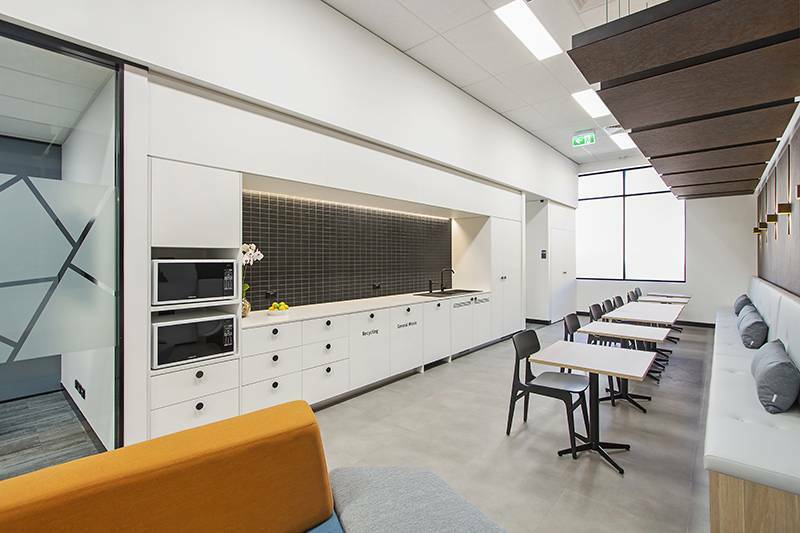 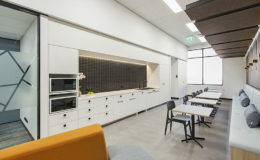 The large staff kitchen with café and breakout area was another feature of the design. 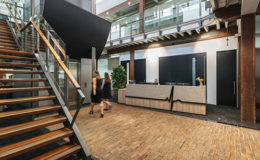 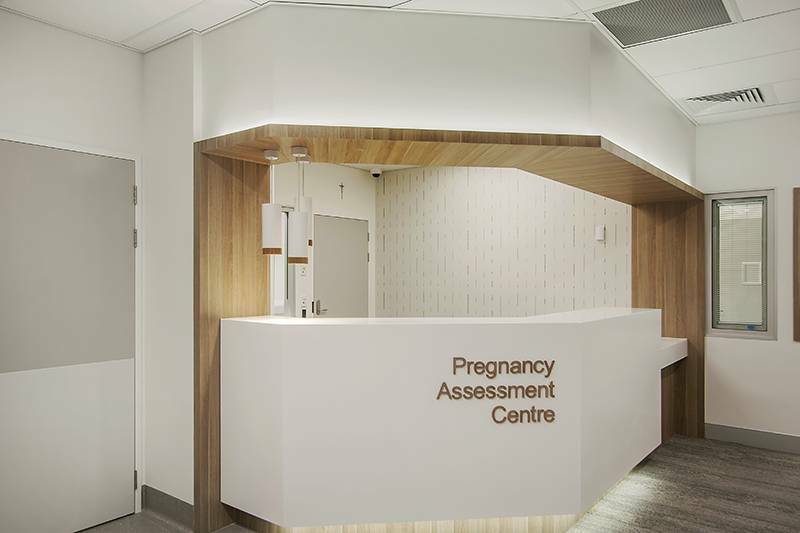 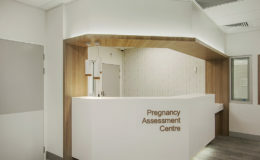 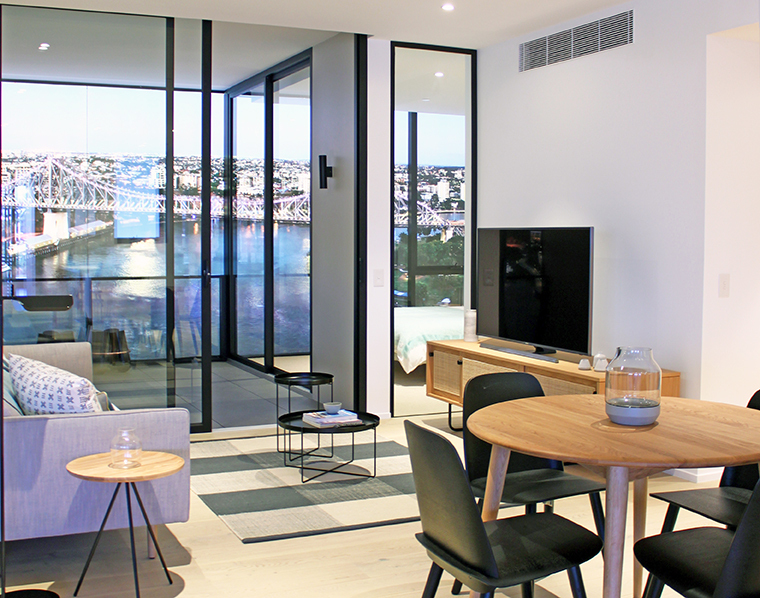 Located within the prestigious Hamilton Harbour precinct, Formula was sensitive to the buildings existing tenants and surrounding residential properties and scheduled noisy works accordingly.